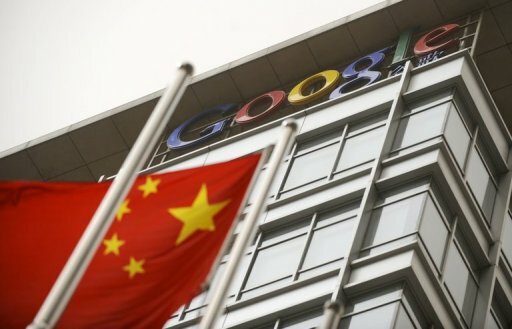 Red Carpeted Chinese regulatory authorities Has Approved The Google's Acquisition of Motorola To Start Business With Fair Conditions. Google Incorporation shortly Google.com has failed to satisfied Red Carpeted country Chinese Government but finally they has got approved form Chinese regulatory authorities have approved Google's acquisition of Motorola Mobility,paving the way for the deal to close within the week,company officials confirmed Saturday.Google has acquired mobile phone and tablet maker Motorola Mobility for about US$12.5 billion. Motorola spokeswoman Jennifer Erickson said Saturday that they are pleased that the deal has received approval in all jurisdictions,and they expect to close early next week. A Google spokeswoman Niki Fenwick confirmed the deal was approved early Saturday and that it should close within the week as Red Carpeted Chinese regulatory authorities Has Approved The Google's Acquisition of Motorola To Start Business With Fair Conditions. Motorola Mobility ships phones and tablets with Google's Android operating system.The close of the deal means that Google has a hardware manufacturing arm with which it can closely work to develop Android.Google will also have control of Motorola's massive patent portfolio. Motorola Mobility has said that it owns or has applied for more than 24,000 patents.The deal has already been approved by antitrust authorities in the U.S.and Europe.Chinese authorities have approved the deal on condition that Google keep Android free and available to other mobile device manufacturers for five years,according to a source close to the deal. Other conditions include a commitment by Google to meet obligations to license patents for industry standard technology on FRAND(fair, reasonable,and non-discriminator)terms, according to the source.FRAND terms typically involve licensing obligations required by standards-setting bodies for members that get involved in the standard-setting process,and for companies whose technology is approved as part of industry standards. Google will also compete with Microsoft as Microsoft promotes new versions of Windows in the tablet and smartphone market.An open question is whether mobile device manufacturers thatcurrently use Android will see Google as a competitor,and possibly be drawn to the Microsoft camp. Google,a Silicon Valley giant that built its business on Web services,startled the tech industry last August by saying it would buy the company,a much older,Illinois-based maker of mobile devices and other hardware.Motorola already produces a number of phones and tablets based on Google's Android mobile software.New updates or brand new versions of Android might go directly to Motorola,while taking much longer to reach other smartphone manufactures. Google defended itself saying it has no intentions of giving Motorola special treatment over other Android-running OEMs such as HTC, Samsung,and LG.Apparently the argument was enough for Google it get over all of the regulatory hurdles it needed to close the deal. Google is interested in purchasing Motorola mostly for its patents.Motorola holds 17,000 patents and 6,800 pending patent applications, many related to smartphone technology.Now that Google is duking it out in court with Oracle over Java-related patents,its more important than ever for Google to have a large patent shield so it can defend itself against future Android lawsuits.